In a Miami-Dade jury trial, the jury will very likely want to know the answer to the following question: “Does this defendant have insurance and if so, how much?” The answer is that most defendants in personal injury trials have insurance. But that will never be disclosed in trial because of Florida law. Now, is that entirely fair? We don’t think so. And the law used to be different. But it changed as we discuss below. In products liability cases, defendants usually include retailers and manufacturers. Those defendants usually have insurance. In medical malpractice cases, the defendant doctors and hospital either have insurance or are self-insured. In premises liability cases, the defendant property owner is almost always have some type of insurance. But the law does not allow for the insurance company to be mentioned in trial. There is an even more practical reason why it is safe to assume that the defendant in a personal injury trial has insurance. Personal injury attorneys work on a contingency fee meaning they do not get paid a fee unless their client recovers. There can be no recovery unless the defendant has insurance or assets. Most people do not have assets and those who do often hide or transfer those assets so that they are “judgment proof” in the event the jury decides against them. So as a practical matter, it is safe to assume that an overwhelming number of defendants in personal injury trials do in fact have insurance. 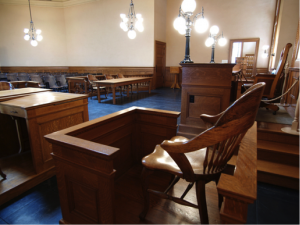 Now why can’t jurors know that a defendant has insurance and just how much insurance they have? Florida has what is called a non-joinder statute. In short, the insurance companies were very concerned with juries knowing that a defendant has insurance. They believed jurors were more likely to award money if they knew an insurance company would pay. So the insurance companies lobbied the legislature to prevent jurors from knowing if a defendant has insurance and to also prevent insurance companies from being named as defendants in third party cases. 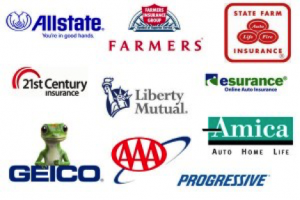 Curiously, insurance companies are named as defendants every day in first party cases. A first party case is when an insurance company is sued directly. At trial, jurors know there is an insurance company in the case. Yet insurance companies will go to trial and win more often than not. How does that happen? Insurance defense attorneys develop arguments and strategies over years of experience in how to diffuse any animus towards insurance companies in trial. Sometimes, insurance companies are held accountable but it is not because of juror bias or ineffective counsel. It is because of the insurance company’s bad actions. In conclusion, if a defendant is at the point of trial, usually they do have insurance. But a juror is not allowed to know that.